Charles Edison, son of inventor Thomas Alva Edison, was a very accomplished man. He was born on August 3, 1890 in West Orange, New Jersey. By 1927 he was president of his father’s company, Thomas A. Edison Inc. 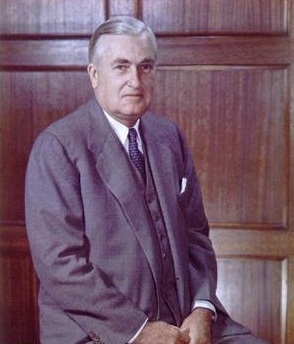 He served as the Assistant Secretary of the Navy from 1937 to 1940, Secretary of the U.S. Navy in 1940 he served as the 42nd Governor of New Jersey from 1941 to 1944. In 1946, two years after his term as Governor of New Jersey ended, Charles Edison created Sag Harbor Industries in Sag Harbor, New York. He had a clear vision for our company. Edison believed that a smaller, localized manufacturer could be more productive than a larger one with a central location. He believed that a smaller operation could react quicker to adversity than a larger plant with several thousand employees. Our very first products were small electric coils which were used in automobile clocks and appliances. Soon after that, a division of Thomas A. Edison Inc. bought a large quantity of coils for their office dictation equipment. By 1949, Sag Harbor Industries was so successful that an addition was needed for the building. The addition was larger than the original building. Some of our customers during this time were Jaeger-LeCoultre (luxury watch and clock manufacturer) and Lux Products Corporation (clock division). 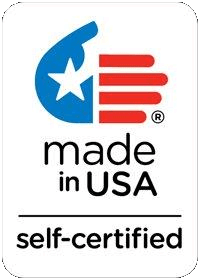 Since that time, Sag Harbor Industries has undergone many changes but our core philosophy remains the same; American Made, custom coil windings and electrical components with a concentration on product quality and on time delivery. Over time, Charles Edison took on two partners for Sag Harbor Industries, Paul Scheerer and Stuart Miller. As Edison began to turn his attention to other ventures, Scheerer and Miller took center stage at Sag Harbor. They began working with Teleregister. One of Teleregisters great achievements was engineering an automatic quotation board for the New York Stock Exchange (NYSE). The quotation board made it possible for brokers to instantly display stock and commodity quotations from the previous day, the opening price for the current day, high for the day, low for the day, as well as current price. In the early 1950’s, Teleregister also worked with American Airlines to engineer a new airline reservation system. Both the stock quotation board and the airline reservation system contained custom electric coils created by Sag Harbor Industries. Around that same time, an electric football game was created by Tudor Metal Products of New York City. The game was played on a vibrating metal field with 3-D players, a grandstand showing hundreds of fans and goalposts at either end. The game was wildly successful. Tudor’s success spawned a competitor, Gotham Pressed Steel. Both the Tudor as well as the Gotham football games utilized Sag Harbor Industries custom coils and they were both valued customers for many years. The 1960’s, 1970’s and 1980’s saw the rise of three very important industries critical to our growth as a company; fluid power, aerospace and computer technologies. The Valcor and Skinner companies both employed Sag Harbor Industries custom coils in their solenoid valves as well as in other applications. We teamed with COM DEV International Ltd. to create satellite and spacecraft communications equipment. The equipment called for exacting specifications that must be met in order to operate within the harsh environment of outer space. Sag Harbor Industries produced stators to exact specifications for this application under our “clean room” conditions per COM DEV needs. General Electric also partnered with Sag Harbor Industries. We built a large number of coils for GE, many of which would end up in relays for the GE Space Center but the majority of them would end up in GE’s Computer Department. General Electric was experiencing a period of rapid growth. The General Electric Computer Department was created as an effort to cope with this growth spurt. The major computer companies would come to be known as “Snow White and the Seven Dwarves” with IBM taking the role of Snow White and companies such as GE, Honeywell and RCA, to name a few, as the Seven Dwarves. During the time of “Snow White and the Seven Dwarves”, General Electric was one of Sag Harbor Industries biggest customers, with orders nearing 60,000 coils per week. Today, Sag Harbor Industries is a contract manufacturer of custom wound electric coils, wire harnesses and electronic assemblies for OEM customers. Our products have been included throughout the entire aerospace and electronic fields. Our products have also been used in an extensive amount of military applications as well as many government contracts. Items manufactured in our Sag Harbor, NY and Farmville, NC facilities include; electrical coils, motor windings, solenoids, stators, and voice coils for headsets. Our automated PCB (printed circuit board) department completely assembles for both “through-hole” and “surface mount” circuit board technologies. Our subsidiary, Dortronics Systems Inc., located in Long Island, NY manufactures electric locking hardware and controls for the security and door control industries. We believe that the Sag Harbor Industries family of companies provides innovative solutions to our customer’s high volume, mid volume and custom production needs. We are privileged to serve customers who place high priority on customer and value-added services.